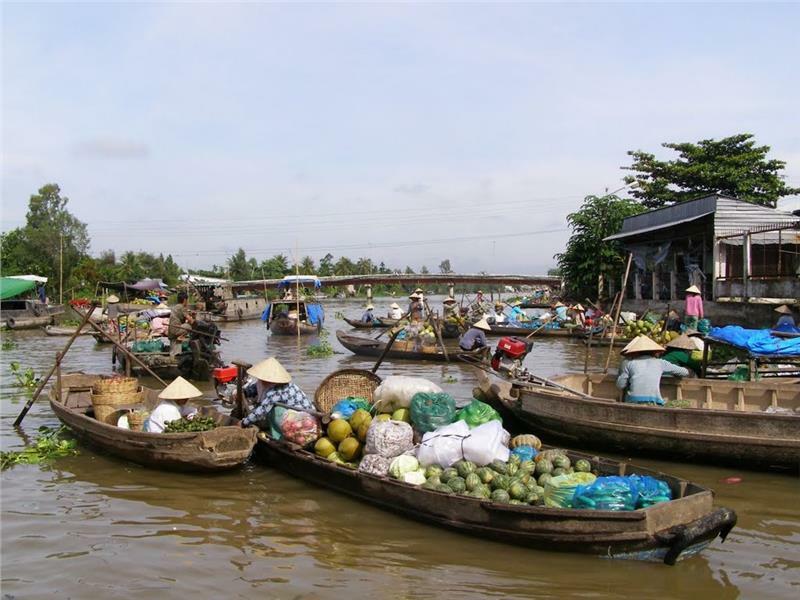 Phong Dien Floating Market is one of 7 busiest floating markets in Mekong River Delta. 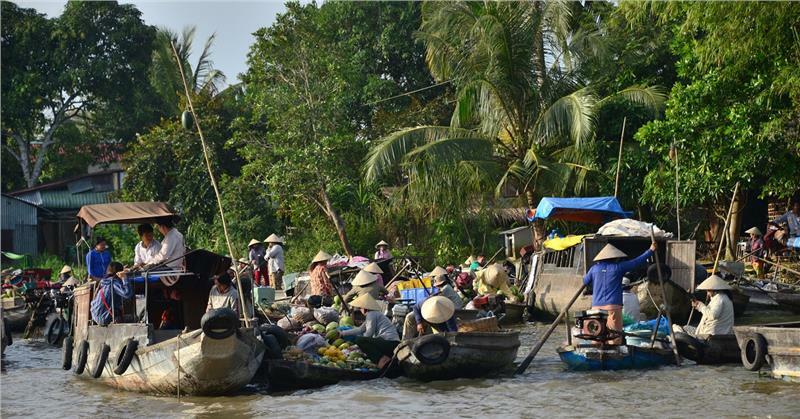 Phong Dien Floating Market is famous as a place of selling and exchanging goods, a compelling attraction in Mekong Delta. 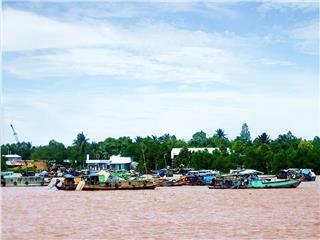 The market is located at the intersection of three rivers, where Can Tho River separates from Hau River. 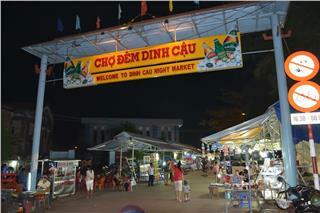 The market is about 17 km from Can Tho City to the southeast. This market is usually open at around 4-5 am when the sun is rising, and up to 7-8 am it starts to close. Unlike Cai Rang Floating Market, Phong Dien Floating Market not just sells agricultural products, but also other various ones. 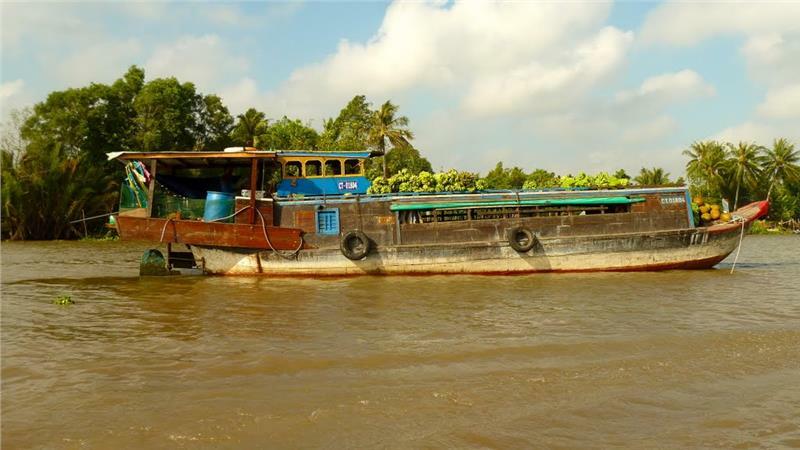 In the market, there are boats selling household and working tools such as canoes, boats, roofing sheets, knives, hoes, machete, and fishing tools like fishing nets, or weaving products as baskets, and all kinds of general domestic and foreign cargoes. 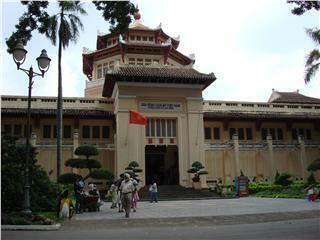 In addition, the market also sells many types of food: noodle soup, noodle with toasted meat, rice soup, Hu Tieu, and coffee, etc. 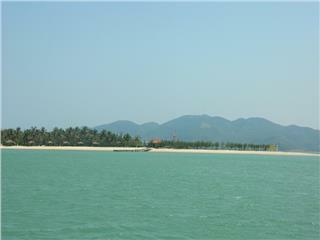 In particular, there are dozens of ferry and vessels anchoring at the river's bank. They are ready to take tourists to visit the floating market. Shipowners are often the locals, thus they should be able to work as "concierge". 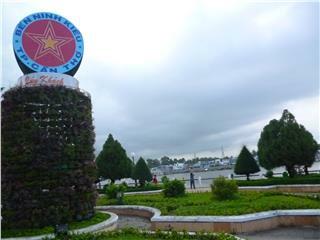 After sightseeing and shopping at the floating market, tourists can move down to Tra Nien Canal to visit the grave of Bachelor Phan Van Tri, or visit villages, orchards, and immerse in simple but warm life of farmers in Nhon Ai, Nhon Nghia, Tan Thoi, and Truong Lac communes which have been a famous horticultural economic area. 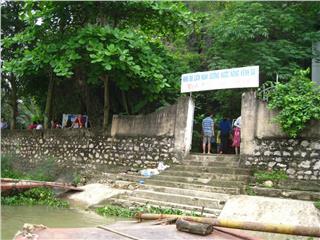 Currently, there are new services in this market such as floating petrol station with a capacity of several thousand liters sold to ships, boats back and forth, machine repair "shops", tailor shops with quick-service for customers... Generally, all items in inland market are presented in the floating market, catering to customers purchasing on the river. 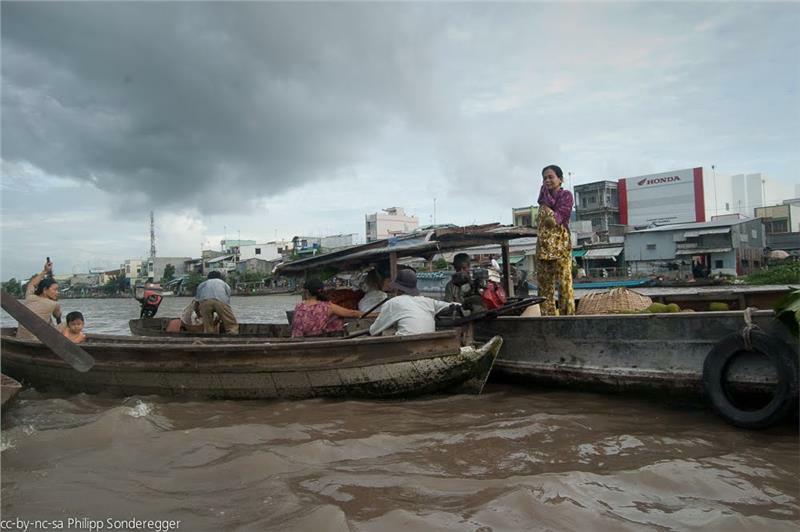 In this market, big boats and small boats can anchor anywhere to exchange their goods, while "ghe" - a type of smaller boat, is used as a means of moving trading vehicle to sell fruits and juice to tourists. One of the unique features of boats in floating markets in Mekong Delta in general and in Phong Dien Floating Market in particular is the pillar with products hung on. This pillar is often a part of bamboo tree plugged in front of the boat. 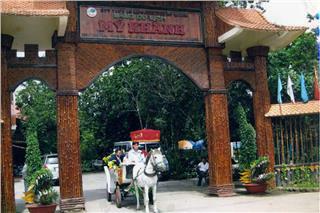 The form of promoting and selling products is a unique culture feature only at floating market without noisy and gushy "ad language", but exotic and appealing buyers. 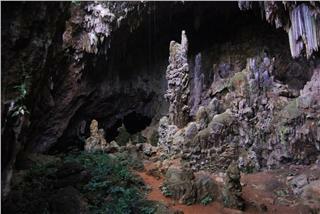 They just need look the pillar to find what to buy. 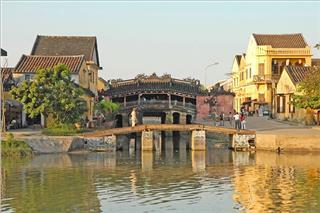 Phong Dien Floating Market is open quite early from dawn, like Cai Rang Floating Market. 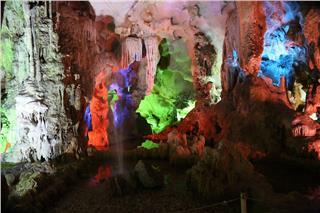 The period from 7 to 8 am is the busiest time here. However, unlike Cai Rang Floating Market closing at about 9 am, Phong Dien Floating Market remains trading activities until the afternoon, not only exchanging agricultural products, but also supplying domestic tools, working and producing tools... Due to this trait, tourists if miss to visit the market in its busiest moment, they can still drop by here late and enjoy idyllic scenery on the river with boats carrying hoes, machetes or baskets are still trading and ready to serve buyers when needed. 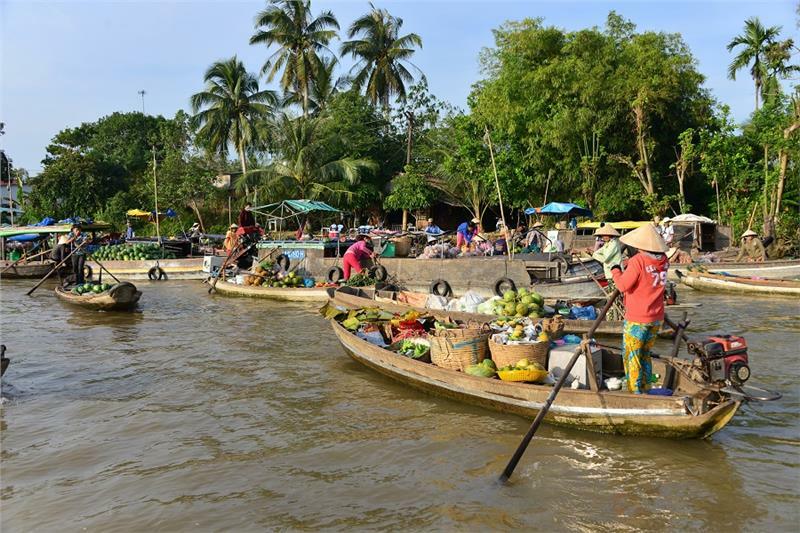 Once traveling Can Tho and dropping by Cai Rang Floating Market, you will find a big difference between Cai Rang and Phong Dien floating markets. Not only selling agricultural products, working tools, Phong Dien Floating market also has a gasoline station, department-store boats, mobile tailor "shop", machine repair shop open during the day as markets on the ground ..., making Phong Dien Floating Market so special and always bring a lot of amazing sense for tourists at any time of the day. 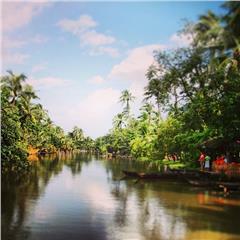 In Mekong Delta travel, floating markets seem indispensable sights. When visiting Phong Dien Floating Market, you will have not only the most typical experiences of floating markets, but also have the opportunity to feel the real life of local people in Mekong Delta River. Whether markets are located on land or on vast rivers, Phong Dien retains its own characteristics, no matter how time-lapse changes. 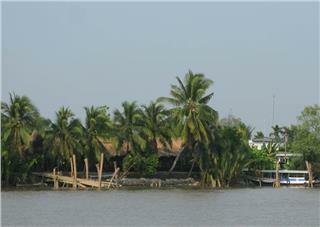 Today, although roads are developed in remote rural areas of Can Tho City in particular and Mekong River Delta in general, but markets on river still exist, along with follows of water, which brings a unique culture of Mekong River Delta. 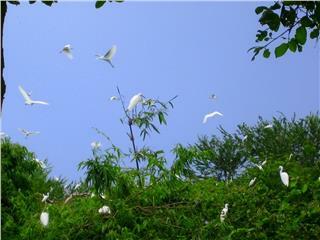 Cai Rang Floating Market is one of the most fascinating attractions in Can Tho. 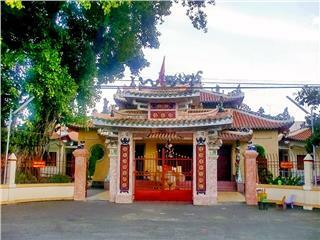 This is a very special cultural feature in Mekong Delta, attracting tourists, especially foreign ones.